From the dusty pages of history, I’d like to spotlight Martha Stearns Marshall. Martha was the youngest of 10 children and was born on August 18, 1726, in Tolland, Connecticut. In spite of scorn, persecution, and rejection by the colonial religious establishment, as well as other Baptist groups, Martha was a trailblazer for all women who feel God is gender blind when it comes to selecting servant leaders. Interestingly, March is National Women’s History Month, and the theme this year is “Nevertheless, She Persisted: Honoring Women Who Fight All Forms of Discrimination Against Women.” Martha definitely persisted, and I’d like to tell you more about this remarkable woman. Martha and her husband, Daniel Marshall, lived among a tribe of Mohawk Indians in New York for 18 months and left only after the French and Indian War began in 1754. The Marshalls migrated south to Virginia where it was customary for both Marshalls to pray and preach during worship services. It is reported that Martha’s behavior in worship scandalized the Virginia Regular Baptists who opposed women speaking in public. Shockingly, Martha, when she was three months pregnant, was arrested and jailed in Virginia for refusing to stop preaching the gospel. Some time later, Martha and Daniel responded to the great need for preachers and worship in the frontier of North Carolina, so they traveled 200 miles through the Appalachian Mountains and valleys to Sandy Creek, North Carolina. 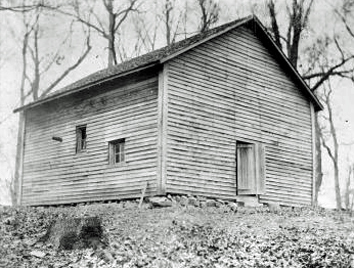 There, they helped form Sandy Creek Church, the first Separate Baptist Church in the South. Martha and Daniel were a study in contrasts. It was said of Daniel that he was a weak man, a stammerer and not a scholar. Neither did he possess great talents and his gifts were very limited. According to her contemporaries, Martha’s exhortations often brought her audience to tears. She preached in church buildings, barns, town squares, and open fields. It was not unusual for thousands to gather to hear her proclaim the gospel message. In 1771, the Marshalls migrated farther south to an area called Kiokee Creek near Appling, Georgia. Daniel was arrested for breaking Georgia law by holding a public religious meeting in a state where the official religion was the Church of England. Martha was sitting nearby and witnessed the whole scene. With the solemnity of the prophets of old, she denounced such proceedings and such a law and, to sustain her position, she quoted many passages of Scripture with such force that the arresting constable was converted, became a member of their church and served as a Baptist minister for over 50 years. 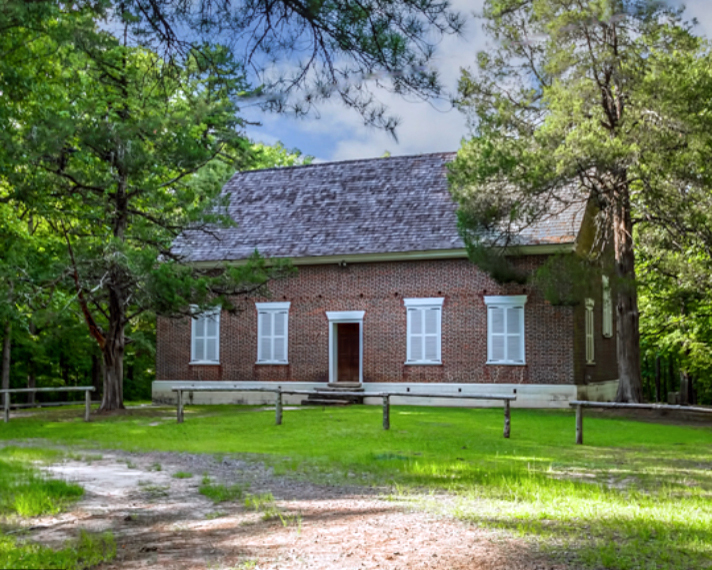 When working on completing Trailblazer, Part Three, the final book in my trilogy about the life of Noble Wimberly Jones, my research found me examining church/state relations and more specifically First Amendment rights. When my research spotlighted Martha and Daniel, I laughed aloud, I cried for joy. I felt as if God had placed into my keeping — a pearl of great price! Let me explain my pearl of great price. In the 1970s, my affiliation with the Southern Baptist Convention died. A faction within our convention came out with an edited version of our 1925 Baptist Faith and Message publication rejecting women as ministers, decrying the infiltration of liberalism in our seminaries and insisting the Bible was inerrant-totally free of error and to be interpreted as it is written regardless of when it was written or its intended audience. Style of writing was also ignored. I could never espouse any of their revisions so I began trying to alert my local church of this schism. However, I lacked the persuasive talents of Martha Stearns Marshall, thus my words fell on deaf ears! In the meantime I continued to explore the tenants of Baptist theology through the writings of those whose words rang true to me. Bible Freedomis historic Baptist affirmation that the Bible, under the Lordship of Christ and is subject to the best and most scholarly tools of inquiry. Soul Freedomis the inalienable right and responsibility of every person to deal with God without the imposition of creed, the interference of clergy, or the intervention of civil government. Church Freedomis the historic Baptist affirmation that local churches are free, under the Lordship of Christ, to determine their membership, to order their worship and work, to ordain whom they consider gifted for ministry, male or female, and to participate in the larger body of Christ, of whose unity and mission Baptists are proudly a part. Religious Freedomis the historic Baptist affirmation of freedom OF religion, freedom FOR religion and freedom FROM religion insisting that Caesar is not Christ and Christ is not Caesar. Martha’s legacy lives on, not only for me, but also within the Baptist religion. Every year since 2007, the Baptist Women in Ministry invites Baptist churches to participate in Martha Stearns Marshall Month of Preachingby having a woman preach in February. Join me in celebrating Martha and all the courageous women in our nation’s history.